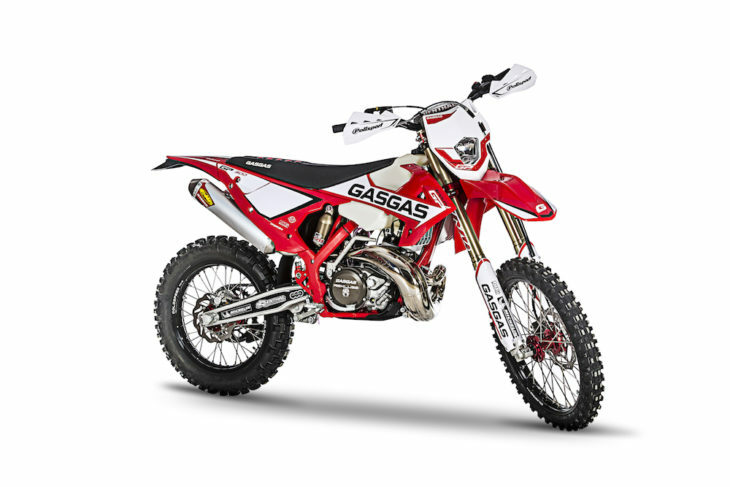 GasGas announced its limited edition EnduroGP, it’s top-of-the-line off-road bike inspired by the factory race bikes ridden by GasGas’ world championship team racers. The EnduroGP will be offered in two displacements—250cc and 300cc, both two-strokes. The EnduroGP is the premier off-roader in GasGas’ 2019 lineup. The new EnduroGPs feature dual-map ignitions, the two choices being “Dry” and “Rain.” The EnduroGPs also get a higher-compression cylinder head, and a new clutch cover and housing, manufactured by Rekluse. The entire exhaust system is made by FMF exclusively for the EnduroGP. The KYB forks have new settings and DLC coating. New Goldpeed rims, with machined anodized red hubs, are standard equipment for the EnduroGP. GasGas says the new EnduroGP will be arriving at dealerships in December. New dual map ignition highlights the new EnduroGP. Machined X-Trig triple clamps, anodized in red, optimized to reduce weight and transmit a greater feeling in the front. 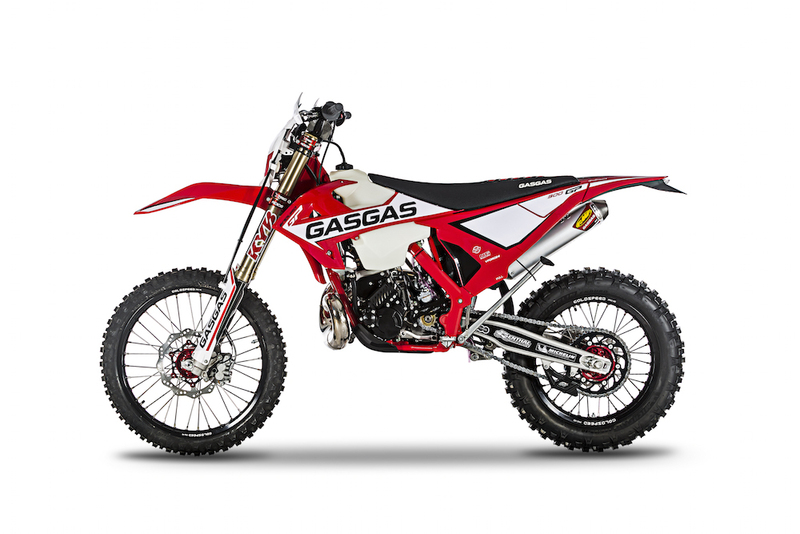 Click here for more GasGas motorcycle reviews and news.